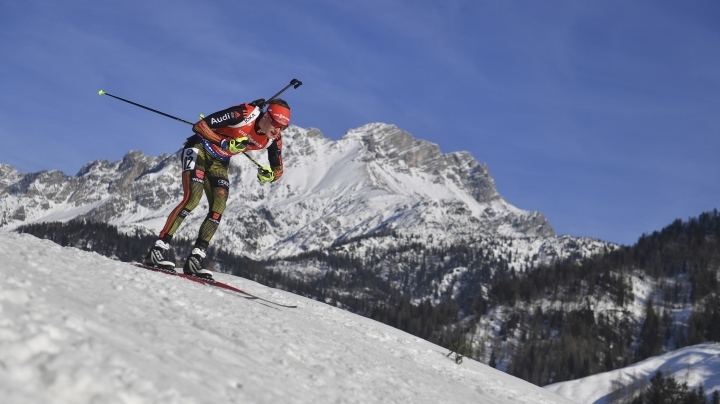 HOCHFILZEN, Austria — Benedikt Doll won the men's 10-kilometer sprint title on Saturday, earning Germany its third medal in as many events at the biathlon world championships. Doll hit all 10 targets and finished in 23 minutes, 27.4 seconds to edge Johannes Thingnes Boe by only 0.7 seconds. The 2015 world champion from Norway also shot flawlessly. Defending champion Martin Fourcade, who won four of the last five World Cup races in the discipline, skied two penalty loops and trailed by 23.1 seconds to take bronze. American biathlete Lowell Bailey finished fourth, missing out on his first medal at a major championship by 6.4 seconds. "It was a perfect race," Doll said. "To win it by 0.7 makes it even more special." Germany also won the mixed team relay on Thursday, while Laura Dahlmeier took silver in the women's sprint the next day. Doll had never won an individual World Cup race before, though he was part of the German team that took the men's relay in Antholz, Italy, last month. Boe still led Doll by nine seconds when leaving the shooting range for the last time but the Norwegian lost a few seconds of his advantage at every split time on the track. A heavy favorite to retain his title from last year, Fourcade missed the opening target in both his shootings, forcing him to ski two additional 150-meter loops. He failed to repeat his achievement from the 2012 worlds, when he won the sprint title despite two shooting mistakes. Other favorites also lost the race on the shooting range. Anton Shipulin of Russia missed three targets, and Arnd Peiffer, who helped Germany win the mixed relay two days ago, damaged his medal chances with two mistakes in his final round. Seeking his 45th career world championship medal, Boe's 43-year-old Norwegian teammate Ole Einar Bjoerndalen looked set for a podium finish but missed one target in his final shooting, which cost him at least 20 seconds. Bjoerndalen trailed the third-placed Fourcade by 15 seconds when he came 38.4 behind in eighth. Emil Hegle Svendsen of Norway, the 2013 gold medalist, collapsed shortly after finishing more than 1 ½ minutes off the pace in 36th. 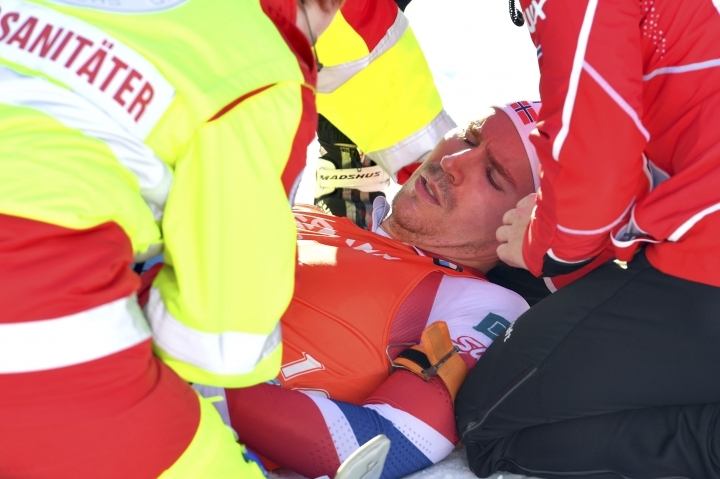 Svendsen received medical treatment before walking out of the finish area several minutes later.